There were a lot of things I didn't like about this book. I didn't like Daniel, I didn't like Amanda, and I didn't like Kit. I didn't like the instant, all consuming love of Daniel and Kit. I didn't like that Amanda sticks with Daniel. Normally, this would make me put a book down and give it up for a loss. As a reader, I want to connect with at least one character, otherwise I don't feel a connection to the story and I don't care enough to keep reading to see what happens to the characters. That didn't happen with this novel, even though I didn't like these three characters, I needed to know how this story would play out. I wanted to know how Kit died. I wanted an answer for why Amanda stuck with Daniel. I wanted to know what was going on with Daniel in the present, not that I really cared. I got my answer about Kit. I know why Amanda stuck with Daniel. I know how Daniel fares. I'm happy I finished reading. I liked the back and forth nature of the story. It felt as if the reader was on the journey with Daniel, through his struggles with dealing with Kit's death. I say if the synopsis intrigues you as it did me, to give the story a chance. Sometimes the journey is worth taking. 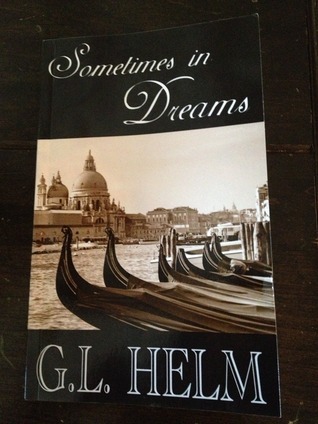 Sign into Goodreads to see if any of your friends have read Sometimes in Dreams.